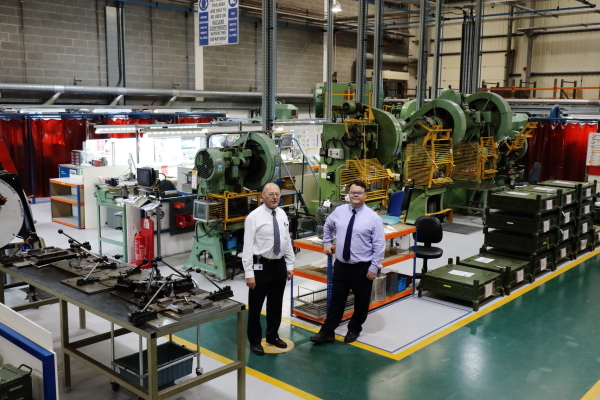 Precision engineering group Paul Fabrications has become the 100th UK manufacturing company to prove its readiness for civil nuclear work through the Nuclear AMRC’s Fit For Nuclear programme. Fit For Nuclear (F4N) is a unique service to help manufacturing companies test and develop their readiness to bid for work in the civil nuclear supply chain. 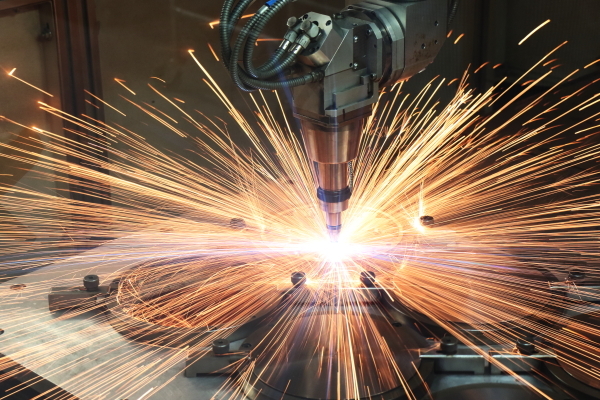 F4N is delivered exclusively by the Nuclear Advanced Manufacturing Research Centre (Nuclear AMRC), part of the national High Value Manufacturing Catapult, and is supported by top-tier partners in nuclear new build and decommissioning. Paul Fabrications – based in Castle Donington, near Derby, and part of the global AGC AeroComposites group – is the 100th company to complete the F4N programme by benchmarking its performance against the standards demanded by the civil nuclear industry’s top tiers, and driving business improvements through a tailored action plan. Paul Fabrications has over 50 years’ experience in the civil nuclear sector, and currently specialises in manufacturing intricate components for the fuel assemblies used in the UK’s current fleet of advanced gas-cooled reactors (AGRs). With the AGR fleet approaching the end of its service life, the company is looking to replace this revenue stream and increase its offering to the wider nuclear industry. F4N support has helped the company drive continuing improvements to its business processes, and understand the opportunities of the wider nuclear market including new build and decommissioning. F4N also gives Paul Fabrications an industry-recognised hallmark to demonstrate its readiness for nuclear work, and allows the firm to tap into the Nuclear AMRC’s collaborative network and sector expertise to help identify opportunities and build new relationships with potential clients. Since the programme’s launch in 2011, over 500 UK manufacturers have taken the initial F4N online assessment. Completing the programme requires commitment and drive from senior managers, and typically takes 12–18 months. Successful participants range from contract manufacturers with no nuclear experience aiming to take a first step into the sector, to established suppliers wanting to benchmark their position and drive business excellence. The Nuclear AMRC is launching a new series of regional events to introduce even more UK manufacturers to the support available through Fit For Nuclear. The first events are on 20 October in South Yorkshire, and 1 November in the West Midlands. For full details, see the F4N nuclear strategy events page. 27 October 2016, Nuclear AMRC; 1 November 2016, West Bromwich. In the first of a new series of introductory workshops, the Nuclear AMRC’s Fit For Nuclear team will help manufacturers get to grips with nuclear strategy and deployment. Breaking into the nuclear sector demands vision and commitment from every part of your business. This workshop will give you a clear understanding of the opportunities in the nuclear supply chain, and the practical tools you will need to engage your staff through strategic thinking and policy deployment. 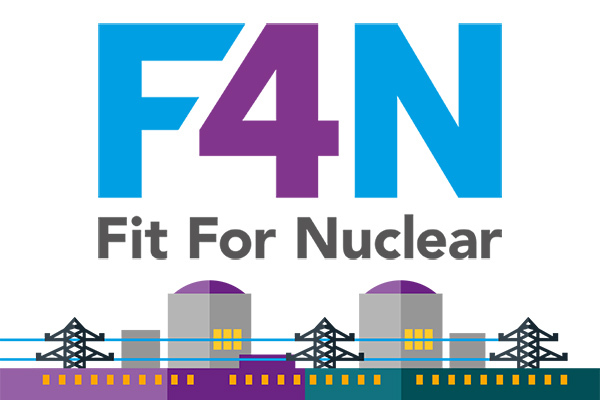 What support is available through the Fit For Nuclear programme, and whether F4N is right for your business. How to identify and close any gaps in your capabilities or performance, to meet nuclear industry requirements. Why you need a strategic approach to business improvement for nuclear. How to link your strategic vision to effective deployment tools to engage all your operational staff. The workshop is designed for senior directors who want to better understand how they can win work in nuclear, and need to share their vision with the people who will deliver it. It’s also a great opportunity to meet our nuclear specialists and industrial advisors; learn more about the F4N programme; and gain a deeper understanding of strategic planning and deployment for business excellence. Please note the change of date for the South Yorkshire event – now on 27 October. The UK government has given the go-ahead for Hinkley Point C, the country’s first new nuclear power station for a generation. The decision follows EDF’s investment decision in July. Following a review of the project, the government says it has reached an agreement in principle with EDF, and will impose a new legal framework for future foreign investment in nuclear power stations and other critical infrastructure. Update: Final contracts were signed by Greg Clark, secretary of state for Business, Energy and Industrial Strategy; Jean-Bernard Levy, chairman and CEO of EDF; and He Yu, chairman of CGN, on 29 September. Mike Tynan, Nuclear AMRC chief executive officer, commented: “This is a landmark decision by British government and demonstrates a real commitment to the future of civil nuclear power in the UK. “I very much welcome the government commitment to take a specific stakeholder interest in nuclear new build projects. I’m certain that this will provide additional confidence to project developers and maintain momentum on projects for new nuclear power stations on Anglesey in Wales, and in West Cumbria. The agreement in principle means that the UK government will be able to prevent the sale of EDF’s controlling stake prior to the completion of construction, without the prior notification and agreement of ministers. Existing legal powers, and the new legal framework, will mean that the government is able to intervene in the sale of EDF’s stake once Hinkley is operational. The new legal framework for future foreign investment in British critical infrastructure means that, after Hinkley Point C, the UK government will take a special share in all future nuclear new build projects. This will ensure that significant stakes cannot be sold without the government’s knowledge or consent. The Office for Nuclear Regulation will also be directed to require notice from developers or operators of nuclear sites of any change of ownership or part-ownership. The government says these changes will bring Britain’s policy framework for the ownership and control of critical infrastructure into line with other major economies. 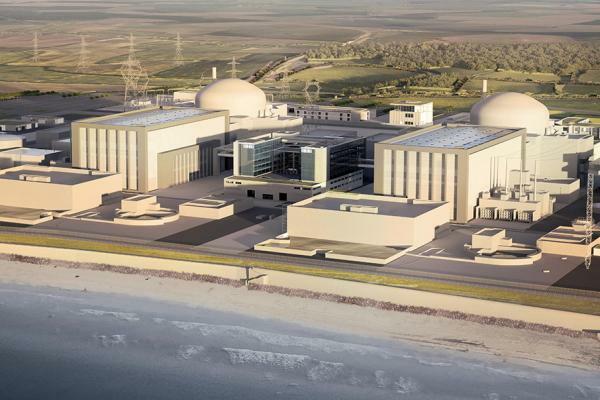 The two Areva EPR reactors at Hinkley Point C (HPC) will strengthen EDF’s presence in the UK, where its subsidiary EDF Energy already operates 15 nuclear reactors and is the UK’s largest electricity supplier by volume. With a combined capacity of 3.2GW, the two HPC EPRs will provide around seven per cent of the UK’s electricity demand. The first concrete at HPC is scheduled for mid-2019, coinciding with the scheduled start-up of the EPR at Flamanville at the end of 2018. EDF says the first HPC reactor will generate electricity from the mid-2020s. EDF estimates the construction cost of Hinkley Point C at £18 billion. It expects UK companies to be awarded contracts worth more than 60 per cent of the project’s construction value. Around £1.5 billion worth of contracts were provisionally placed with UK companies ahead of the final investment decision. Bouygues TP/Laing O’Rourke – civil works. Alstom Energy (now part of GE) – turbines. Areva – instrumentation & control, nuclear steam supply system, fuel. Balfour Beatty Bailey – electrical work. Cavendish Boccard Nuclear – mechanical pipework and installation. Rolls-Royce – heat exchangers, emergency diesel system. Rolls-Royce/Nuvia – reactor coolant processing systems. Clyde Union (part of SPX Flow) – main pumps for feedwater system and cooling water system. Ovivo – intake water filtration systems. Laing O’Rourke – workers’ campus accommodation. Premier Interlink WACO UK Ltd – temporary buildings. EDF plans to work with China General Nuclear Corporation (CGN) to deliver Hinkley Point C, with CGN taking a 33.5 per cent investment share. The two groups have also proposed a collaboration to deploy EPRs at Sizewell C, Suffolk, and the Chinese Hualong HPR-1000 reactor at Bradwell, Essex.